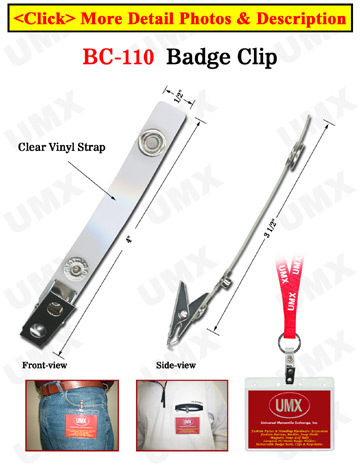 The extra long, plastic ID card holder strap comes with a two-hole ID card clip. The enhanced plastic vinyl strap with badge clip can easily hold your ID card in your pocket or with a lanyard. The snap buttons on the badge strap comes with an easy-open and close function. Just snap and go! This product is great for general use purposes, businesses, schools, military, trade shows, promotions, concerts, sporting events or meetings. All offered at a low cost for those with a low budget.